Nearly 99% of the women served by Grateful Hearts are survivors of childhood sexual, physical or emotional trauma. 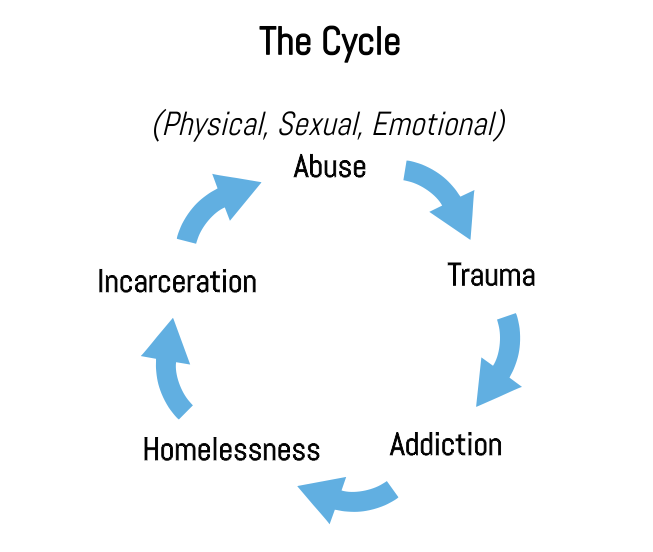 The long-term effects of domestic abuse are characterized by low self-esteem, shame and chronic depression. These issues may lead to substance abuse and high risk behaviors. Often living in poverty and without an adult role model in the family, these women spiral downward into a lifestyle of hopelessness and despair.